Avaya Inc. - US company specializing in the design, development, deployment and administration of corporate networks for a wide range of companies - from small businesses and non-profit foundations to large corporations and government agencies. Headquarters - in the city of Santa Clara, California. Avaya - formerly a division of corporate networks of Lucent Technologies - became fully independent 2 October 2000. Before that for over 100 years the company has been part of the company Western Electric, AT & T, Lucent. 2 October 2000 as a result of separation from the company Lucent Technologies Corporate communication networks department formed a new company, whose chairman of the board became Henry Schacht. The first executive director of Avaya was Don Peterson, who was previously the company Lucent CFO. Avaya has entered the stock exchange under the symbol AV, the starting price of the shares was $ 20.Do this for over 100 years, Avaya was part of Western Electric Company and AT & T.
In November 2004, for $ 635 million Avaya acquired the German company Tenovis telecommunications (Eng. ), In which 5.4 thousand. People were employed. In the process of integration into the group, Avaya Tenovis has undergone significant restructuring. There was the formation of subsidiaries, which units such as the Department of installation and maintenance of equipment were transferred, some of the companies spun off into independent organizations, this was followed by a reduction of staff. In mid-2006 the number of Avaya employees was 4.5 thousand. People in Europe. During the 2007-2008 fiscal year, the company's staff in Germany increased by 3560 people; by 2010 it numbered 2,900 people. In 2006, the president and CEO of Avaya was Louis D'Ambrosio; in June 2008 he resigned from his post due to health problems. October 26, 2007 investment funds Silver Lake Partners (Eng.) And Texas Pacific Group (Eng.) (TPG) Avaya acquired the company for $ 8.2 billion, or $ 17.5 per share. From October 26, 2007, the company has stopped the sale of ordinary shares and no longer involved in trading on the New York Stock Exchange (NYSE). September 14, 2009 it was announced that Avaya has won the auction for the sale of units of Nortel Enterprise Solutions, Avaya agreed to the proposal to pay $ 900 million. December 21, 2009 Avaya and Nortel officially announced the completion of the transaction. As a result, Avaya's staff increased to 21 thousand. Employees worldwide. The company produces hardware and software systems for contact centers, voice telephony, data transmission, IP-telephony, and specializes in the design, development, deployment and administration of corporate networks, including voice recognition technology. Avaya offers products in three core areas of corporate communications: IP-telephony, unified communications, contact centers. 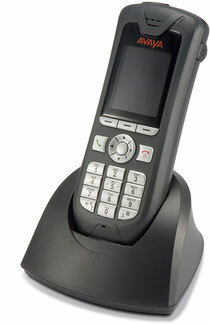 Convenience to the IP-phones recognized leading commercial and government organizations. What are the causes of global change in the usual views on the working process? By improving access to communication, its convenience, efficiency and integration of new functions - all that is called intelligent solutions for corporate communications, companies can more flexibly change the development strategy based on customer needs and the current market situation. 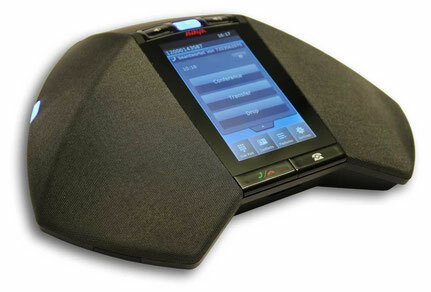 Avaya has introduced new products for unified communications, allowing to increase the efficiency of business: corporate media phones, phones with low power consumption, system integration products company DiVitas Networks and USB-dongle that allows to instantly personalize any of the phone companies. New office unit Avaya 9670G - a kind of symbiosis between the phone and a computer: the presence of diverse embedded applications opens up new possibilities to the user, and provides access to Web-resources. This phone has a large touch screen and a high-quality hands-free system. phone premium phones 9600 Series. 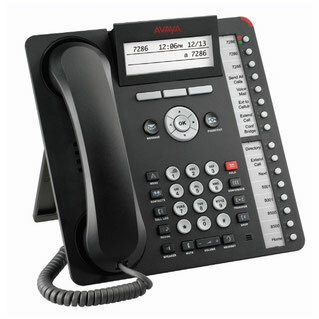 Avaya IP-telephones can operate with protocols H. 323 and SIP. Traditionally, taking care to preserve existing investments customers, Avaya provides free transition between standards for IP phones - via download to your phone the appropriate software to open the company's website.